Home › Marketing News › Canada’s Anti-Spam Legislation – Don’t panic! Do it right. CASL takes effect July 1. But you have three years to continue to nurture those prospects with whom you have an “implied relationship”. Take the time to do it right. In less than a week, Canada’s Anti-Spam Legislation comes into effect. From the emails I’ve been receiving, this has sent companies into panic mode. “This will be your last email from us unless you opt-in now,” declares one of them. I’m happy to click if I want to continue getting their stuff, but companies should take a deep breath and take the time to do this right. If that one message is missed in the shuffle by a recipient that might otherwise have opted in, they’ve lost a prospect in whom they’ve already invested time and money in nurturing. 1. For many of these companies, I probably did give express consent by double-opting in the first time round. If you’ve acquired email addresses with a double opt-in, you don’t need to make them opt-in again. 2. You have three years to get it right. While there’s nothing wrong with trying to get people to confirm their express consent early on, you can take your time to re-engage and re-nurture these prospects. 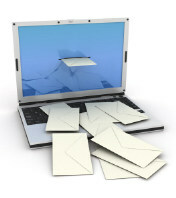 Remind them – by demonstrating with ongoing valuable news and information – why they should welcome your emails. The following is from the government’s own FAQs on the legislation (highlights mine). “Under section 66, consent to send commercial electronic messages (CEMs) is implied for a period of 36 months beginning July 1, 2014, where there is an existing business or non-business relationship that includes the communication of CEMs. Note however, that this three-year period of implied consent will end if the recipient indicates that they no longer consent to receiving CEMs. During the transitional period, the definitions of existing business and non-business relationships are not subject to the limitation periods that would otherwise be applicable under section 10 of CASL. Businesses and people may take advantage of this transitional period to seek express consent for the continued sending of CEMs.